Genus: Anemopaegma Mart. ex Meisn. This species is accepted, and its native range is Brazil to Bolivia and Paraguay. 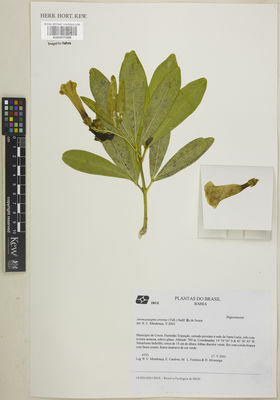 Anemopaegma mirandum (Cham.) Mart. ex DC. Anemopaegma mirandum var. angustifolium DC. Anemopaegma mirandum var. glabrum DC. Anemopaegma mirandum var. hirsuta Hassl. Anemopaegma mirandum var. latifolium DC. Anemopaegma mirandum var. pubescens DC. Anemopaegma sessilifolium Mart. ex DC. Anemopaegma subundulatum Bureau & K.Schum. Lohmann, L.G. & Taylor, C.M. (2014). 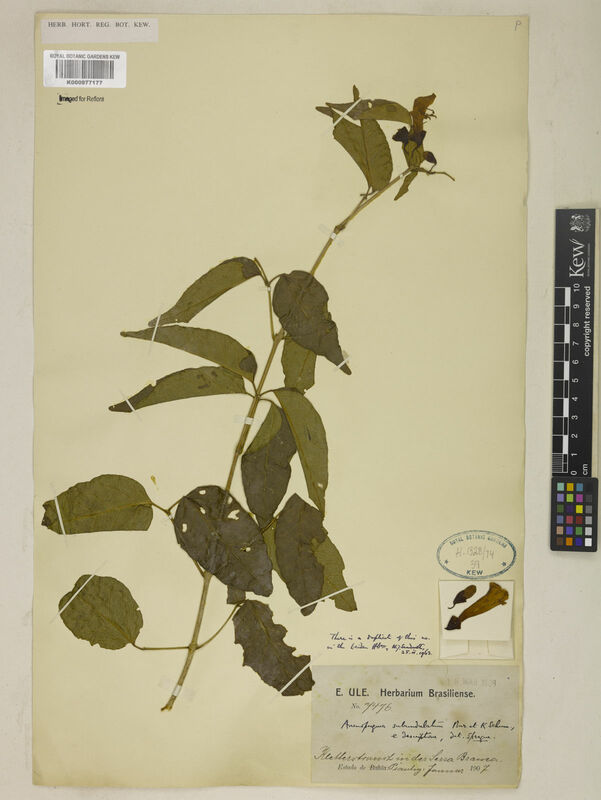 A new generic classifiaction of tribe Bignonieae (Bignoniaceae) Annals of the Missouri Botanical Garden 99: 348-489. Lohmann, L.G. (2006). 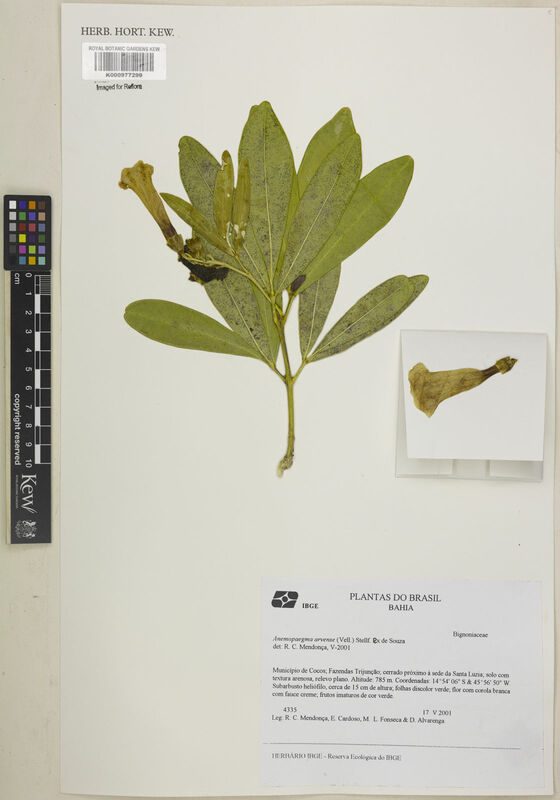 Manuscript on a new generic classification of Bignonieae (Bignoniaceae) based on molecular phylogenetic data and morphological synapomorphies.